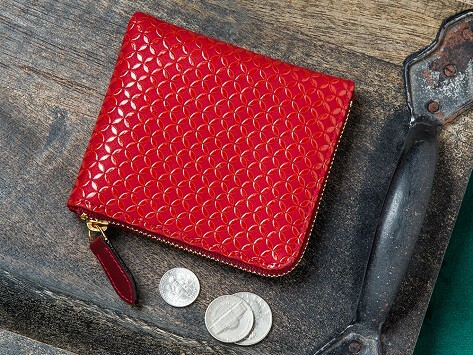 This leather coin purse is carefully handmade in Japan by artisans who practice traditional methods that date back to 1582. Originally used as a way to decorate and boost the durability of leather pieces on Samurai armor, lacquer is embossed onto supple deerskin leather for a beautiful layer of protection. The intricate designs give the purse a distinctive finish and makes one a gift rich in history. Dimensions: 3.9" x 3.2" x 0.5"